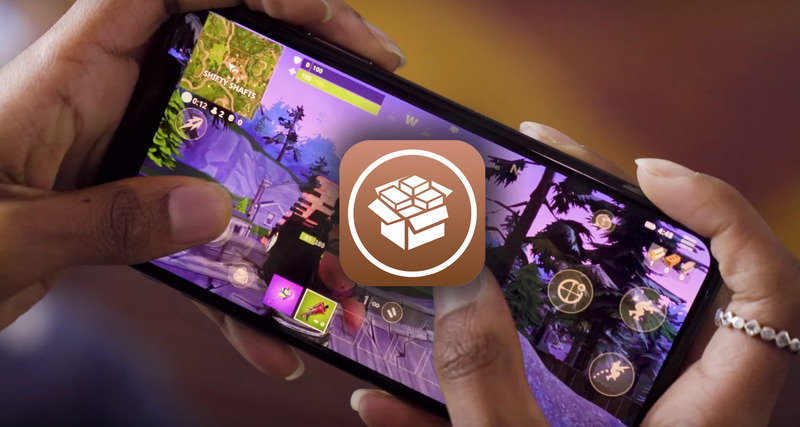 Epic Games, the developer, and publisher of the wonderful and highly popular Fortnite mobile, has brought back its jailbreak detection code in the latest 3.5 patch after having it in initial versions as well but removing it in the later versions. Additionally, as part of a move which will anger and frustrate jailbreakers, the publisher is also kicking people out of games if their device is discovered to be jailbroken. It’s no secret that a lot of game publishers with extremely popular games look at implementing so-called “jailbreak detection” in their software. They do this purely because being jailbroken is often classed as being synonymous with piracy or an attempt to cheat as having unfiltered access to the iOS file system can allow unfair advantages to be achieved. Many gamers fake how many coins or weapons they have access to, or unfairly give themselves other advantages which other players in the gaming environment don’t have. Of course, not all jailbreakers do this, but it’s a physical impossibility for publishers to detect who is taking part in these nefarious practices. The latest 3.5 patch, released recently by Epic Games, introduces a decent amount of functionality and feature sets, as well as some much-needed bug fixes and improvements. However, it also slyly sneaks in some information relating to jailbreaks on Apple’s iOS devices, specifically mentioning that a fix has been put in place to resolve an issue whereby the jailbreak warning message will now be displayed to all users. This alert will basically tell the Fortnite mobile gamer that the system has detected that they are running a jailbroken device. This is entirely understandable if you look at it from the perspective of legitimate Fortnite gamers who have suffered losses or defeats at the hands of a jailbroken user who has modified his/her account in some way to get an unfair advantage. However, we do need to remember that not all jailbreakers practice these methods, so it does seem very unfair to punish them all. 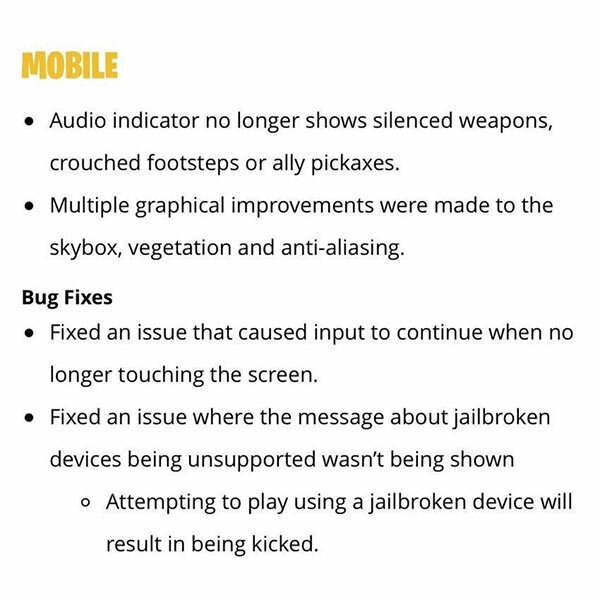 So, if you are jailbroken and keep getting kicked from Fortnite 3.5, then now you know why. Here are the details: STOP JAILBREAKING AND CHEATING! Most people who jailbreaks just wants to get tweaks and customize their iPhone/iPad. I have no intention of cheating, but no way am I getting rid of my jailbreak for a game. Real shame they haven’t added mfi controller support. I hate touch screen controls.